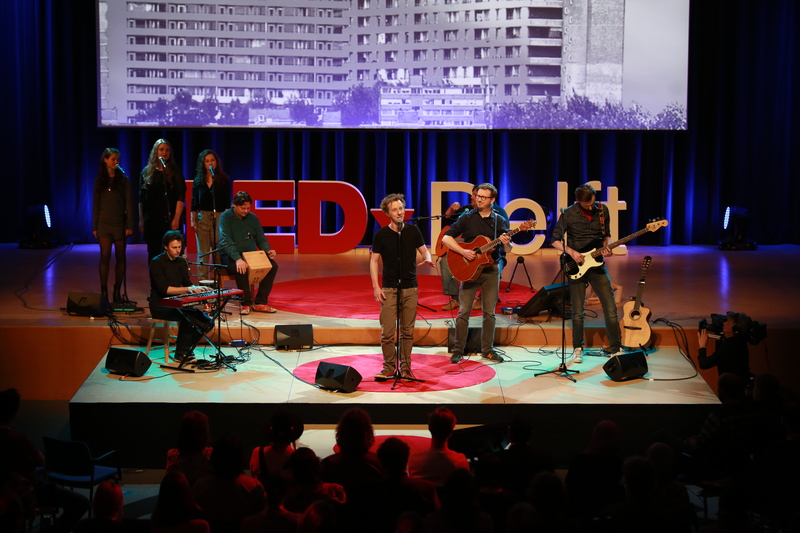 A researcher and designer by training, and a comedian and columnist by profession, Jasper van Kuijk’s first appearance at TEDxDelft was five years ago, a mere three days following the premature arrival of his first child. He fondly recalled the moment as one inspired by large doses of caffeine and adrenaline. Originally from The Hague, Van Kuijk studied Industrial Design Engineering at Delft University of Technology, returning as a PhD candidate and more recently Assistant Professor. 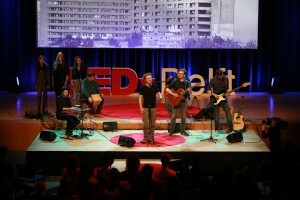 However, a theater and comedy course inspired Van Kuijk to join a comedy troupe and, when the group later disbanded, become a solo artist. Today’s experimental musical performance – now translated into English and performed in front of an audience of 1100 people – embodied the sentiment of doing at least one scary thing on a daily basis. Van Kuijk’s music connects experiences of growing up on the “wrong side of the tracks”, discovering how your side of town has not changed despite your own evolution, and how “death makes a home in the little things”.